The Women’s Committee of the National Council of Resistance of Iran strongly condemns the Iranian regime’s state security forces’ attack on a woman in Tehran on Thursday, February 15, 2018, and arresting her for protesting against the compulsory veil. 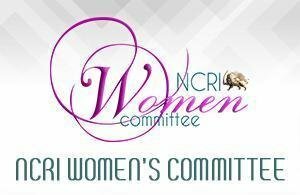 The NCRI Women’s Committee urges all international organizations defending human rights and women’s rights to take urgent action to secure the release of this and all women who have been arrested for non-veiling, improper veiling, opposing and protesting the compulsory veil. The Women’s Committee urges the people of Iran, particularly women and youth, to actively defend Iran’s honorable and brave women when they are attacked by Revolutionary Guards and security forces, and support the arrested women and their families. On February 1, 2018, the IRGC-backed Fars news agency, announced that 29 women had been arrested for not wearing the veil and handed them over to the Judiciary “in line with protecting social security.” The regime’s Judiciary officials have set heavy and not-affordable bail bonds for the release of many of those arrested, thereby obstructing their freedom. Mrs. Maryam Rajavi, the President-elect of the National Council of Resistance of Iran, urged the Council of Europe in Strasbourg, the European Union and its member states on January 24, 2018, to adopt effective measures to compel Iran’s theocratic regime to end suppression of women and abolish the compulsory veil. She said 39 years of suppression of women is enough. The international community must end its silence and inaction.